Indianets is an acclaimed trustworthy, affordable and stable privately owned hosting firm, serving since 2007. Indianets are committed to provide best Web Hosting Experience through their Stable Servers, Premium Bandwidth, Intelligent Support and Easy-to-use cPanel interface.They provide quality service through Enterprise Grade up-to-date servers located at different state of the art datacenters in USA. Different Nameservers for each C-Class IP along with different DNS records. It is affordable as traditional web hosting. Indianets use RAID 10 or SSD storage to serve their website at fastest speed with no hassles. All data centers they use are backed by high capacity UPSs and 24 hours high power generators with on-site fuel storage ensuring no downtime due to power outage or any other minor electrical problems. You can select from Shared or Dedicated IPs. Both are affordable and cheaper than the normal Web Hosting, considering the FREE resources. The servers are equipped with latest technologies and up to date software available in the market, ensuring no compatibility issues for customers latest sites or apps. Servers are monitored 24x7 which results in a consistent performance with stability. Indianets are one of the good services providers with affordable packages and good features. 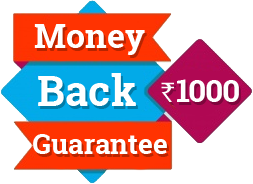 I am hosting my website with Indianets for 3 months, I have not got any problem with their services. Indianets try to provide all possible features and services to the clients. Indianets services are recommended especially for startups. If are going to shared hosting facilities of Indianets, it's better to look at complete reviews and their plan and then proceed. Because their shared hosting is a big issue and a lot of negative reviews. 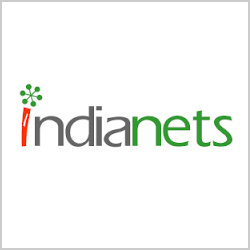 Indianets is one of the best and suitable web hosting company. Their services are very attractive and reliable. Their packages are also affordable to everyone. Indianets will be the good option for hosting services. I am hosting my website with IndiaNets for more than 3 month. In this 3 months, I am not satisfied with their services nor their support team. Always i have a problem with website. And they are not going to take any action to solve it.